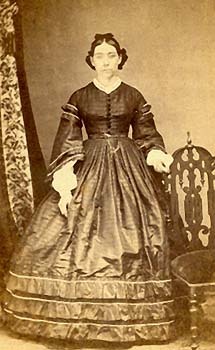 Courtesy of Nancy Benton, this image was from the belongings of Caroline Atwell Noyes and is a photo of her sister, Sarah Ann Lydia Atwell Gilbert. Caroline and Sarah were both children of Hiram Atwell and Rachel Scagel. 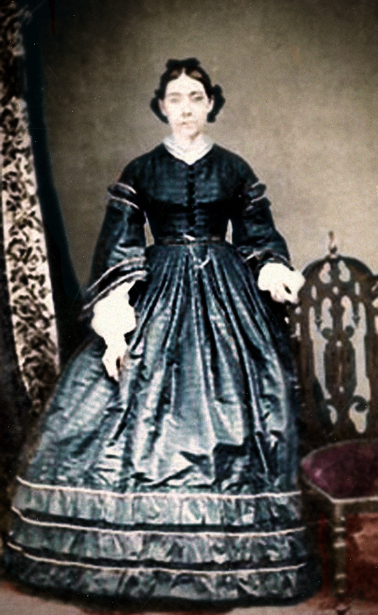 Sarah Ann Lydia Atwell was born April 18 1834 in Waterbury Center, Washington, Vermont, and died in Boston on Jan 3, 1877. 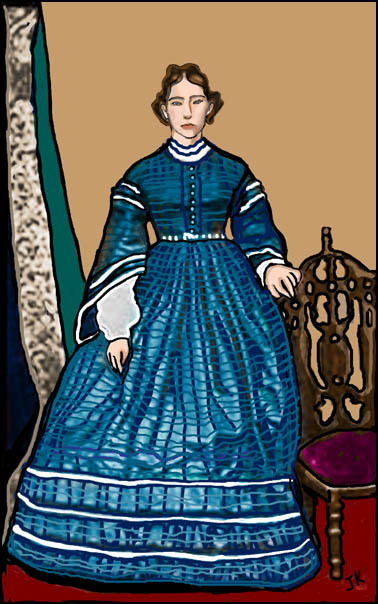 She was married to Norman West Gilbert March 7 1852 at Waterbury Center, Washington, Vermont. Sarah and Norman had no children.